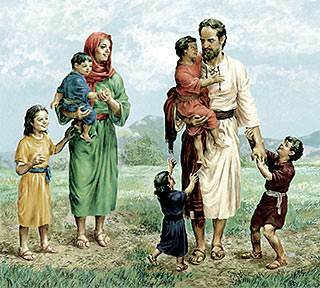 Wherever Jesus was, there children loved to be. They knew without being told, that He was their Friend. 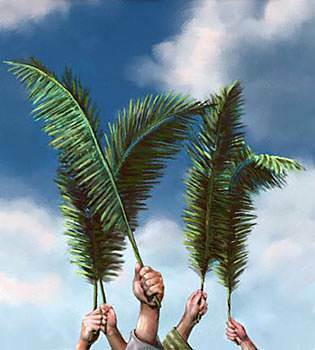 On the day we remember as the first Palm Sunday, Jesus set off to go from Bethany to Jerusalem. It was not very far—just over the Mount of Olives and down on the other side, along the winding pathway. 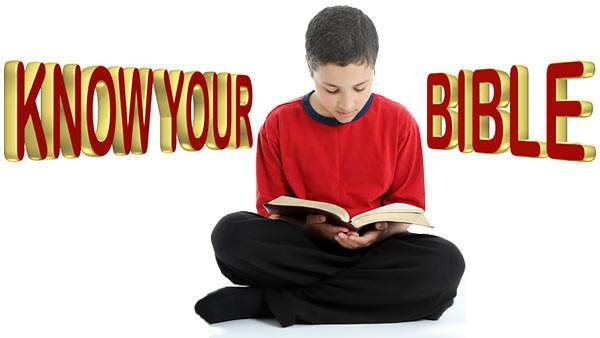 Jesus had been staying at Bethany with His friends, Mary, Martha and Lazarus. They and many others gathered to see Him off. One kind man loaned his donkey to ride on. 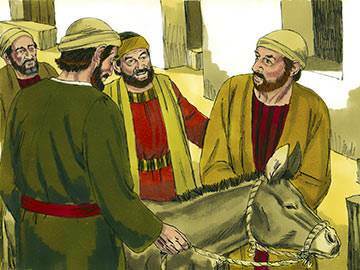 Some of the men put their coats on the donkey for Jesus to sit on, and on the ground for Him to ride on. Some cut down feathery branches from the palm trees and waved them in the air. 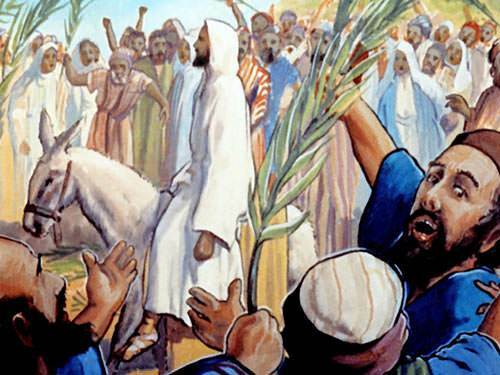 They climbed to the top of the Mount of Olives and made a procession behind Jesus as He rode. Part way down the hill they saw the city of Jerusalem high on the opposite hill. 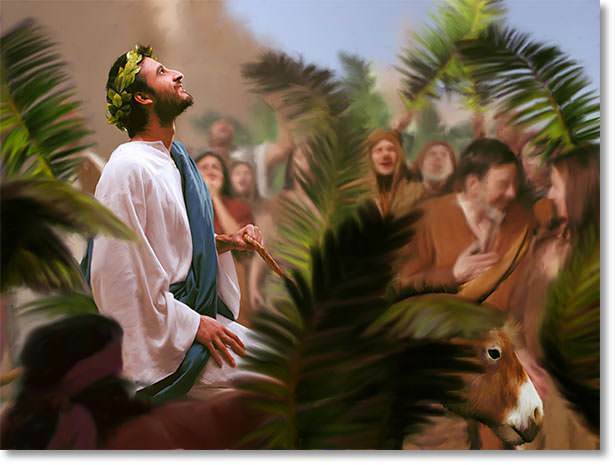 Crowds of people, with many boys and girls among them, were coming to meet Jesus. 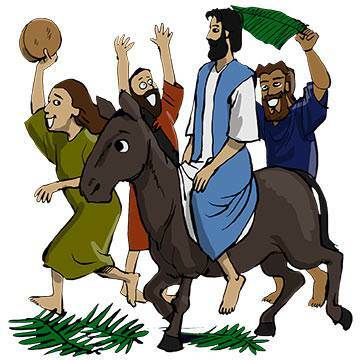 These joined the procession in front of Jesus, and turned around to go with Him to Jerusalem. Down the hill they went, and over the brook in the valley. Then up the hill they swept, through the city gates and into the Temple itself. There the blind and the lame came to Jesus and he healed them all. The children kept close to Him, watching all he did and listening to His wonderful words. 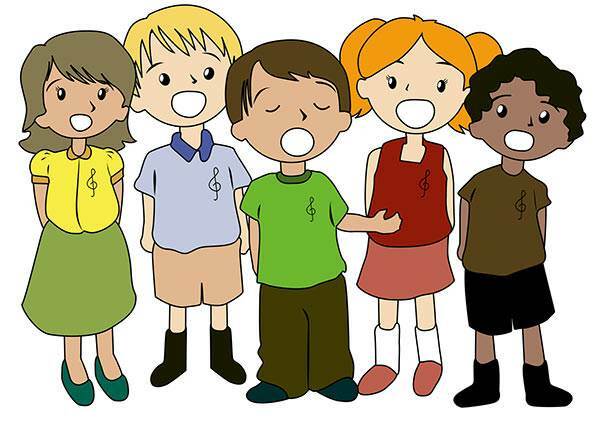 Every now and then they were so happy to be with Him, that they broke again into song. 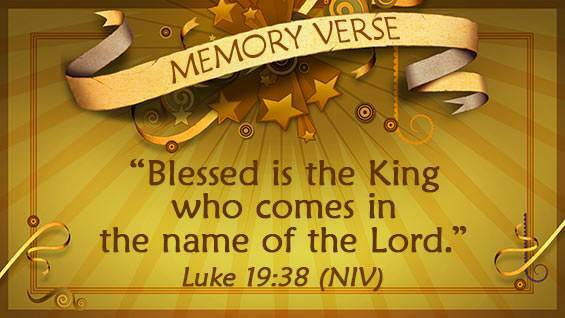 “Blessed is the King that cometh in the name of the Lord: Glory in the highest!” they sang.